I am really excited because now that the tutorial has been shared here, I can also share it here with all of you! I love birdcages, but I don't like when birds are in them =[ because they belong free and not secluded in a tiny little space, right? so the birdcages I have are just decorative. 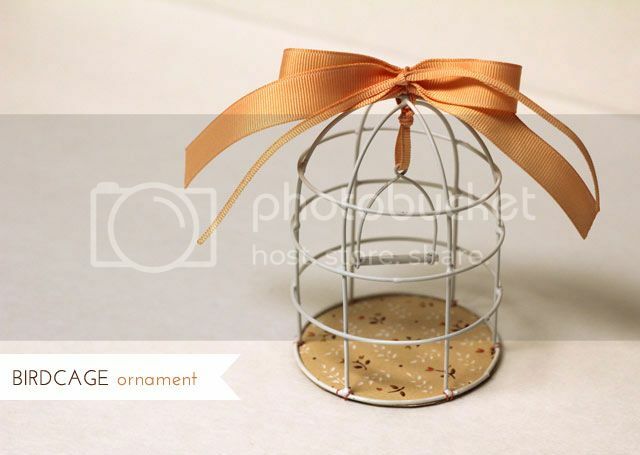 Because of my love for birdcages, I thought that it could be really cute to have one as an ornament =] the best part is that once the holidays are over you can use this little birdcage to hold pens in your office or just to decorate your favorite space! I love to work with wire, but there are some things you should know. Always try to use gloves, your hands will then you because they get really nasty, especially when you work with galvanized wire. 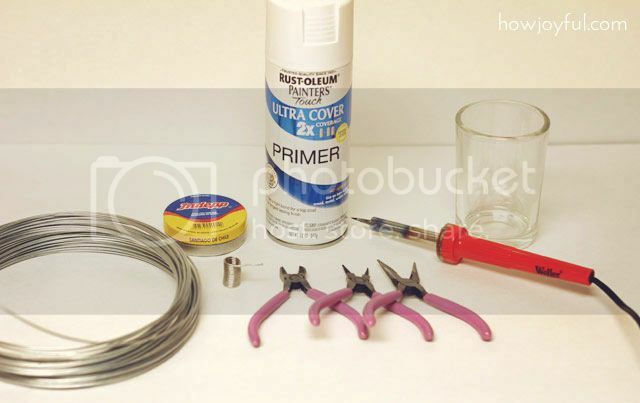 Usually, when you use flux core solder, you don't need rosin soldering flux, but in my case, I like to place a little bit of paste before soldering on each wire intersection because it makes the soldering a lot easier and the joints cleaner =] I think we all like clean and pretty soldering points. right? 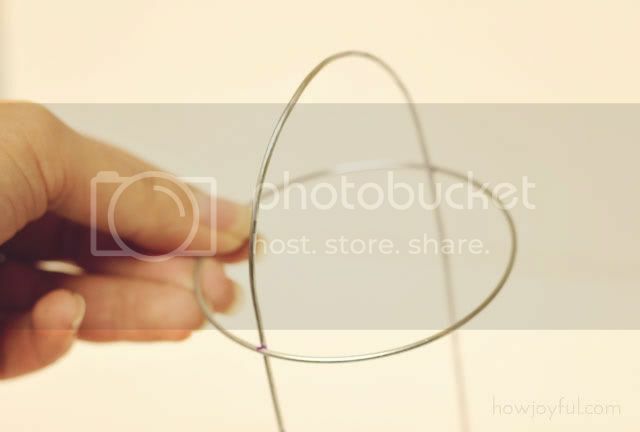 I also wanted to point out that we will be working with rings and wire curves, those are very tricky and even tho we will be measuring, it's really hard to work on having perfect shapes when you work with curves (specially because we will be making our curves with a glass, so there is no measurement there) So don't worry if your pieces are not perfect, you can always fix them later on. 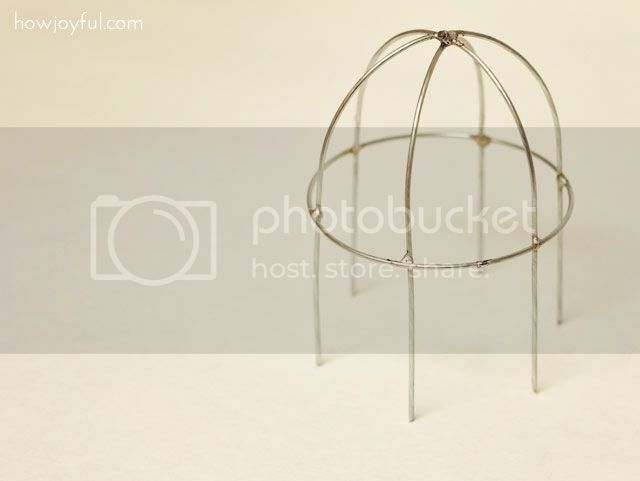 Ok so the first step will be to create the rings for our birdcage, and the size will depend on the size of the cup you decide to use, I've made birdcages using shoot glasses and also using the smallest glasses I have. 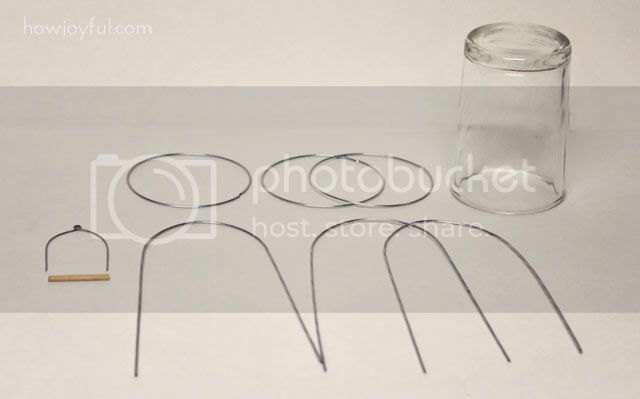 You can try and see how big your circle ends up because after you wrap the glass with wire it will loosen up, being bigger than the diameter of your cup. So it can be tricky. My cup had 3 inches of diameter and my loops end up being almost 4 inches. To make the 3 main structure pieces I measured 4 inches in a straight piece, and then bend using the same glass cup until I had te desire shape, I cut the pieces leaving 3 inches on each side after the curve. 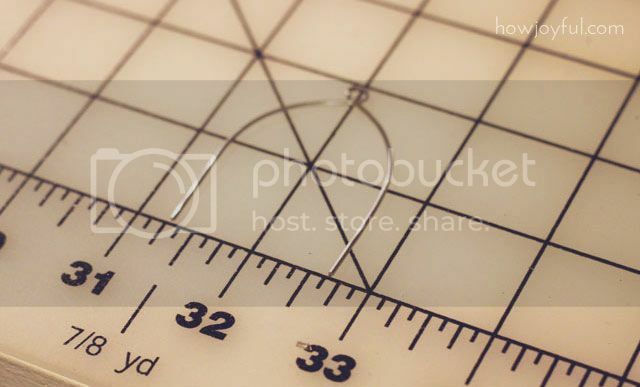 It's very easy if you just lay the piece in a mat and mark where the curves start and measure from there. After that you will need to solder the circle pieces to close them. 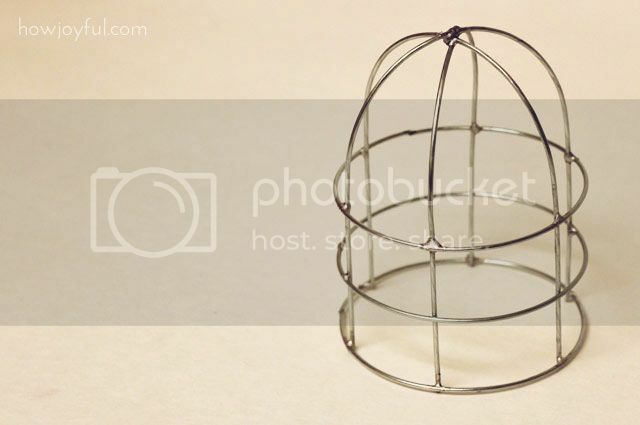 For the bird hanger, you basically have to first make a loop in the top (to attach this piece to the birdcage) and then, bend the bottom so that you wrap the toothpick, just like shown in the pictures above, you can also see how I measure everything in my cutting mat. As you can see here I really liked how my birdcage end up, but I thought that the top was too empty, so what I did was mark 3/4″ up the line and I added another ring, but in this case since I didn't know the exact measurement for that one, I took a shot glass and made a smaller one, I left that piece bigger than I needed it so I could cut, once I had the exact piece I wanted. * This tutorial and pattern are provided for personal, non-commercial use only. This is so cute, Joy! Great tutorial with good and clear photographs, thanks Joy! Thank you Kathy! your little crochet bird idea sounds super cute! This is so gorgeous! I wish I had a tree to make one for. Since both my boyfriend and I go back to our parents’ homes for Christmas, we don’t get a tree. You could always make a tree! A nice decent size plant pot (decorated to suit you style. Fill with sand. A small branch (either cut from your own, friend or family members tree or found whilst enjoying a walk in the countryside), again sprayed to match your decor. Plant the branch in the sand filled plant pot, tamp down the sand to ensure the branch is held firm. Voila! 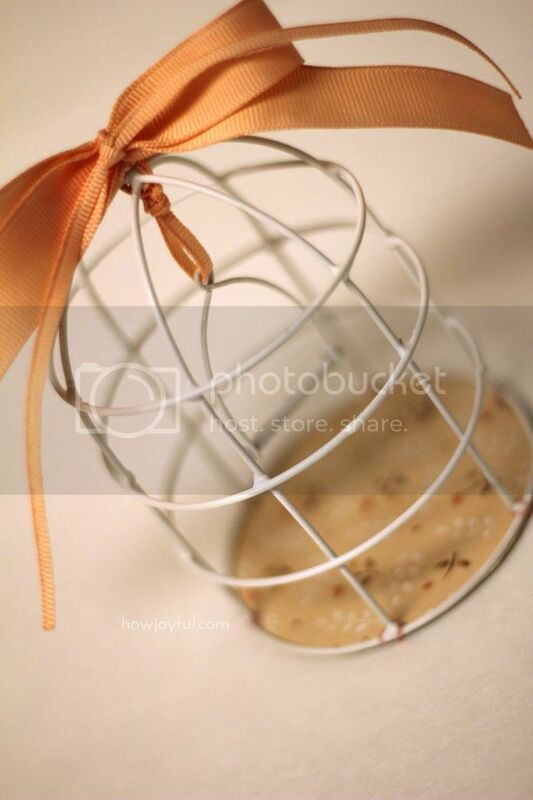 an all year round tree to hang you fabulous hand made bird cage(s). YOU ARE AMAZING! I love love love this! It’s adorable, and you make it look so easy! I definitely want to give this a try! I love this idea. Thanks for sharing, I’m stopping today to buy the supplies. YAY! so excited you are making it! this is such a great tutorial Joy! I do not have a soldering tool but after seeing this I might just get one. thank you!! Your idea is super cute! I’d love to see it if you make it! i like it ! thanks for your tuto ! That is a very lovely project and nice of you to share it. I wish I could do it as it would be great for some of my creations. Though I’m not sure I could be good with soldering tools, lol. Great idea…….but if you wanted to make it easier why couldn’t you just buy a sheet of hardware cloth which is already soldered together, and simply cut, bend and shape? Wouldn’t that be easier? Either way they are adorable. Lindo trabalho. Muito cuidadosa. Parabéns. Trabalho limpo. Oh my gosh!! This is sooo cute!! I am in the middle of decorating my newly remodeled bathroom in a bird theme. I have some serious budget issues and consider myself rather artsy/crafty so I have been making my own decor. I went on your site to learn how to make the felt roses for a rug and saw this as I was browsing your site. 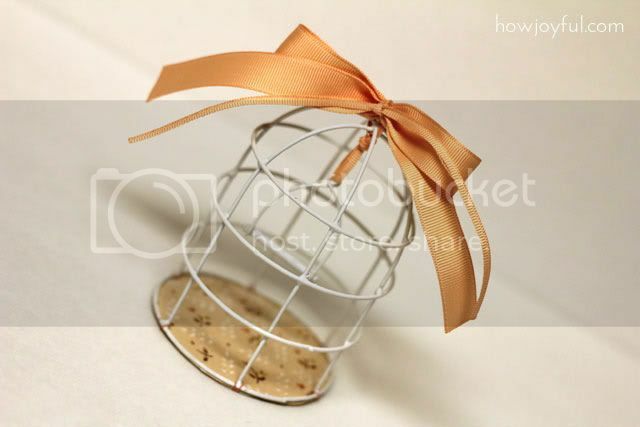 I have been looking for a birdcage but am finding they are out of my budget :[. This is something I have all the tools for at home already and can make to the size(s) I want. I am sooo excited to do one. If it goes well, I’m going to make one for my mom too since she has decorated their sunporch with birdhouse theme. She even has a bird themed Christmas tree that I put together for her :]. I have been painting and decorating little inexpensive birdhouses from the craft store ($1.00 each) and if I say so myself, they are very cute! I should have a well decorated bathroom when all is said and done. Thanks so very much Joy for all your inspiration! Thank you so much for the comment Tracy! I am so happy this helps you to inspire your space =] I would love to see it once you finish!! thank you for posting this diy project . 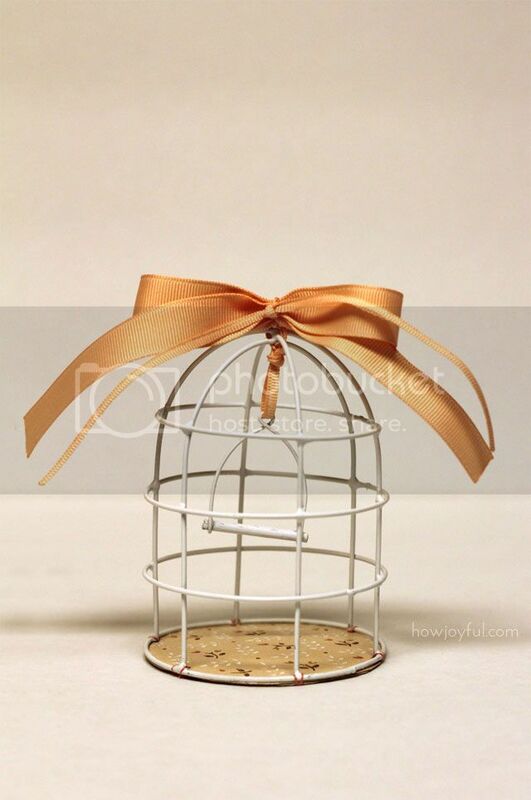 I’ve bee looking for a site t learn how to make birdcage for our pastor ‘s wife birthday party in august can’t waite to get started in making them.